Typical estate agents fees and contract terms vary from agency to agency. Usually, estate agents charge a percentage, which can be anywhere between 0.75% and 3.0%+VAT. Estate agents fees & commissions and contract terms vary from agency to agency. Commonly, estate agents charge a percentage fee, which can be anywhere between 0.75% and 3.0%+VAT of the agreed selling price for your property, according to hoa.org. Also, the fee can depend on the location, type and value of the property. An estate agent’s fees in London may be different from one in Birmingham. If you need an estate agent in Birmingham, Love Your Postcode is here to help. Our property experts live locally to you. Their core focus is on Performance&™; offering all the services of a traditional estate agent but with modern results led approach. Our £849 estate agency fee is only payable if we sell your home. On average when compared, our clients are better by up to 4.6% on the final price because we don’t negotiate. Our valuations are accurate, our waiting list is strong and our team delivers on its guarantee. For complete peace of mind, our work comes with a guarantee. So if you’re not completely happy with the result, just let us know before offer acceptance and pay zero fees* on completion. You can select from two award winning landlord packages. Managed from 10% per calendar month and Corporate from 15% for 3, 5 or 7 year contracts. If you take our corporate package, you can consider your property let as soon as we get it on. We will handle all repairs and management within minutes so all you need to do is collect guaranteed rent each month. What do estate agents charge? Love Your Postcode’s ’21 Day Performance Contract’ with an offer promise is all about speed and efficiency. Zero % commission fees apply to the seller. The advert will run for 21 days and can be upgraded to a traditional or performance package at any time. There is nothing to pay upfront. Our ‘Performance Contract’ is our most selected product. Created to outperform the market on the final value. We request all sellers to get at least three independent valuations and we will beat the combined average value. We cover your photography, floor plans, energy performance certificate, featured & premium Rightmove marketing, newspaper marketing and facilitated block viewings. This contract has a performance related aspect. This product ensures that you get the value you require and we work for our fee. The advert will run for 30 days and can be upgraded to a traditional package at any time. There is nothing to pay upfront. Our ‘Traditional/ Performance Contract’ package attracts a variable fee between 1.0% – 3.0% plus VAT. This is a standard High Estate Agent product, created to deliver a tried and tested approach to selling homes of a higher value. The advert will run for 90 days and can be upgraded at any time. Again, there is nothing to pay upfront and we cover the photography, floor plans, Energy Performance Certificate, featured & premium Rightmove marketing, newspaper marketing and facilitated block viewings. Do buyers pay estate agent fees? If you are buying a property there should be no estate agent fees involved. But bear in mind that you’ll normally need a solicitor or licensed conveyor to carry out all the legal work when buying and selling your home.  Love Your Postcode can offer its selling, buying and letting clients, additional services via our partners such as mortgages, insurances, pensions, low-cost conveyancing, utility switching and other products from which Love Your Postcode may derive commission. Conveyancing work is carried out by carefully selected third party conveyancing partners but to which Love Your Postcode have no financial stake and thus no liability is accepted on our part in respect of these third parties. Our low-cost conveyancing deal at £500.00 exc VAT upon completion applies to freehold property sales and, separately, to freehold purchases and is dependent upon securing this offer by way of initial, upfront premium part-payment of £150.00 exc VAT at the time that instructions are received to sell the client’s property. Otherwise, our standard fee applies to freehold sales and purchases plus disbursements. The £150 exc VAT premium is not refundable under any circumstances. Disbursement costs are payable additionally. A leasehold supplement applies at £225.00 exc VAT per transaction. Deal applies to sales and purchases to a value of £500,000. A supplement of £150.00 exc VAT applies thereafter. Please note, discounted conveyancing is only available for properties in England and Wales. Online estate agents typically have lower prices than traditional agencies but it’s not always advisable to choose the company offering to sell your home for the lowest fee just so you can save money as you will likely receive a poor service and loss money on your sale price. The HomeOwners’ Alliance revealed that in the past six months, Britain’s online estate agents have achieved 95.85% of their original asking price, when the top 1,000 High Street Agents achieved an average selling price of 100.35% of their value, resulting in a whopping £10,530 difference (based on the average property sold price of £234,000 in February). So why are online agents struggling to sell properties, and selling them for so far below the original selling price? Perhaps the most important factor is that online agents‘ flagship product normally includes an upfront fee. While cheaper than their other products, this means the agent has no incentive to actually sell your property once they have your money. Meanwhile, high street agents operate under a no sale – no fee basis. This means the only way they are getting paid is by providing the full service a vendor is expecting and getting the property sold. Due to online agents’ local property experts being paid per every instruction they get on, they will do whatever it takes to get you on the market. The easiest way of twisting a vendor’s arm is to try and tell them that their property is worth more than any other agent has valued it for. But unfortunately, this means that often online agents’ properties are on the market for well above their realistic selling price, leaving them collecting dust and unsold. If you are having multiple agents value your property, we suggest finding the average of their valuations and that will likely be close to the true value of your home. You can choose between two different packages. We only ever charge you at the end of a sale. We don’t believe in charging anything upfront. So when you compare estate agent fees, bear in mind that you will get varying levels of service from each agent. Check reviews to see if you’re going to get an end result that is worthy of their estate agents fee. Love Your Postcode gives your home maximum exposure online & offline, getting it more views from potential applicants, therefore more offers, and ultimately the highest possible finishing value. This means you end up with more money in your pocket and you enjoy a higher quality service.